Every dog needs a collar. Collars hold ID information in case your pet gets lost and a place to attach your leash for walks. They’re also fun. Spring is a good time update your pet’s collars and leashes because the world is fresh and new. Some pets have a whole wardrobe of collars. Tartan plaids for a preppy feel, sports team collars for game day and a light up LED collar for night-time walks. What about yours? This flashing lighted dog collar will keep your dog visible at night. 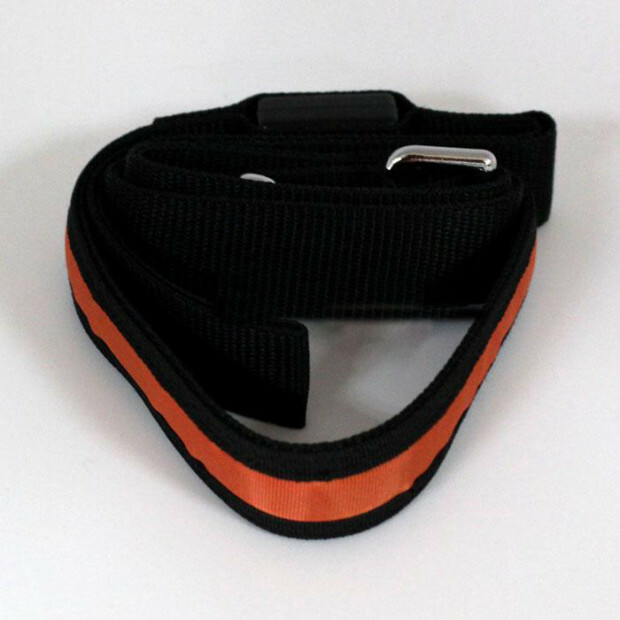 Size – Too tight and you can choke your dog, too loose and your pet can slip out of it. Collars often range from XS to XL, and the best way to get a good fit is to measure your pet’s neck with a tape measure and add two inches. When you try it on, see if you can insert two fingers between the collar and your dog’s neck. The “two finger” test lets you know that the collar is “just right.” If your pet makes gagging noises, readjust. Style – Let’s face it, most of us choose a collar because we like the way it looks. There’s nothing wrong with that. A rhinestone collar is fun for dress up while a plain nylon collar is well – for dress down days. You can even match your dog’s collar to the leash for a full ensemble. Change them up with the seasons or day of the week. Function – Style meets function (and fun) in this lighted dog collar (with matching leash). It’s perfect to keep you visible on night-time walks. Comfort – there are tons of collar types made of leather, fabric (usually cotton or nylon) and even spiky metal pinch collars – ouch! Though we don’t recommend the latter. Would you like your neck skin pinched every time you took a step? If you train your dog to walk well on a leash, you won’t need it. While you’re updating your pet’s collar, check your I.D. tags. Are they up-to-date? Are they still legible? Sometimes the metal gets worn down and it’s hard to decipher the engraving. If so, time for a new tag. Give your dog a good bath, put a new collar on him and he’ll feel pampered. Do you have a selection of dog collars for your pet?